HWVisual were commissioned by the luxury brand De Beers Diamond Jewellery, to design the international Holiday Greetings card. The concept for the needed to be coherent with and inspired by the global window scheme 'Home for Christmas', also created and designed by our team. The design captures some of the precious moments spent at home with family and friends during the festive season, be that a surprise proposal, a bedtime story or a kiss under the mistletoe. 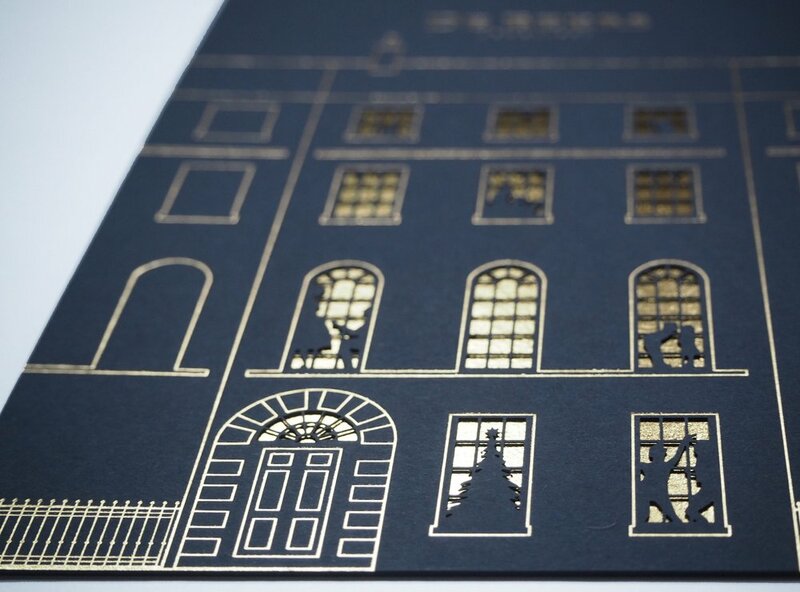 The A5 card is made from two sheets of thick luxury paper, both hot stamped with gold foil details. The intricate window frames and silhouettes on the front layer are delicately laser cut revealing the glowing lights inside. The card was animated in collaboration with the graphic design studio EACH LONDON.